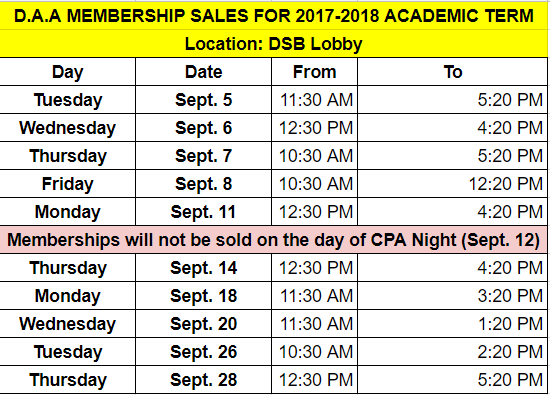 See schedule below for dates and times to purchase your D.A.A membership for the 2017-2018 academic term! A membership will be required for the majority of DAA events throughout the year, so be sure to purchase yours now! Please Note: memberships will not be available for sale at CPA Night, please purchase in advance.